Say what you want about woodsmanship… it is important… but when it comes to spring turkey hunting success, nothing is more important than knowing how to call! There can only be one thing that’s most important. In turkey hunting, there isn’t any question about what it is. Hunters who can make realistic turkey talk, and sound excited when they do it, can make turkeys do things they otherwise would not do. Like come over to where you are, so you can get a shot at them. Let’s face the facts. People who say that calling is not important struggle with their calling skills. They have a hard time getting turkeys to come to them, so they dismiss the idea that calling is important. Deep down, they know it’s not true, because they lose out on gobblers all the time, when real hens call excitedly and steal them away. Hunters lose out on turkeys because the birds are not responding to the classic hen yelps, too. What do you do on those days? You change your calling strategy, because Ray will teach you exactly what to do. Learn how to call turkeys from the master. Ray Eye has traveled every corner of turkey country and has proven that his calling approach works everywhere. In fact, it works so well that Ray and his hunting partners consistently kill big gobblers from March through June, regardless of the weather conditions, regardless of how much pressure the turkeys have had, regardless of what stage the breeding season is in. Would you like to know how to do this? Would you like to unlock the secrets to a lifetime of turkey hunting success? Then sign up for Ray Eye’s class, “Calling is Everything,” through Johnson Mountain University. A lifetime of lessons that you can put to use this season, for just $97. Or, you could always yelp softly, put down your call and sit there and and wait. And hope. And wait some more. What was that? Did you hear that leaf move? Do you like the sound of turkeys gobbling so loud it blows your hat off? That’s a lot easier to hear. Mark Strand here, and I’m going to speak for Ray because I have seen firsthand the ruckus he can start in the woods with a turkey call. 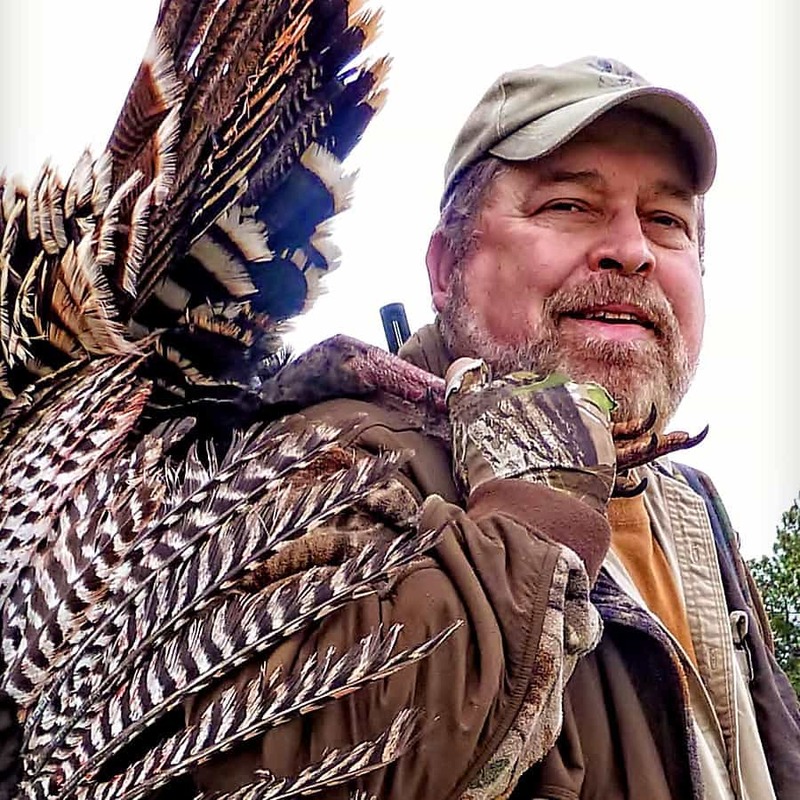 With more than 50 years of real-world experience, in every place that wild turkeys live, Ray has been called “America’s premier turkey hunter,” by the Wall Street Journal. He was named a “Great Outdoor Legend,” by Outdoor Life magazine. He has been inducted into the “Legends of the Outdoors” Hall of Fame as well. These days, he is a Field Editor for MidWest Outdoors, writing a monthly column and producing segments for MidWest Outdoors Television. He also hosts the long-running and very popular Eyes on the Outdoors radio program from the MidWest Outdoors Studios in St. Louis, Missouri. 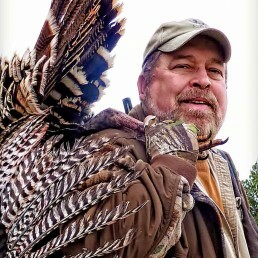 Simply put, he is the most famous turkey hunter in the world, because he is the best. You are going to love learning from him. Sign up and get instant access to the course materials! Study the course materials any time it’s convenient for you. Watch clear and dramatic video of actual hunts. Ray talks over the video and “thinks out loud,” explaining in great detail what is going on and why he makes the decisions that he does. You will learn just as if you are sitting over his shoulder! You get lifetime access to the course materials, so you can brush up before every season from now on. Get in on priceless web seminars (webinars), as Ray goes into even greater detail on the subject of calling turkeys. As we add more new webinars, they become part of the permanent collected course materials… and you get lifetime access to those, too! We’re ready if you are. Enroll in Calling is Everything! and go through it yourself, for the next 30 DAYS. If the Class does not live up to your expectations, we’ll refund every penny of your tuition. No hassles, and we’ll even cheer for you to get a turkey this year! Join the Class Now for only $97!